eKidz baptisms are a special time for families and our church. 2) The baptism interview is an opportunity for the staff and volunteer leaders of Elevation to talk with your child about baptism and help you determine if your child is ready to be baptized. To request more information, please complete this form. eKidz exists to see people far from God raised to life in Christ by engaging kids and empowering families. There are many actions we take and tools we use to achieve this purpose. From eKidz at Home to family outreach projects, we are doing everything possible to ensure that your family is growing in faith. A few weeks ago, we had the opportunity to celebrate with our church, as we watched your children declare their faith to the world and choose to be baptized. As we prepare for a special time of baptism this September, we thought we would take a look back at the eKidz baptisms in 2012. 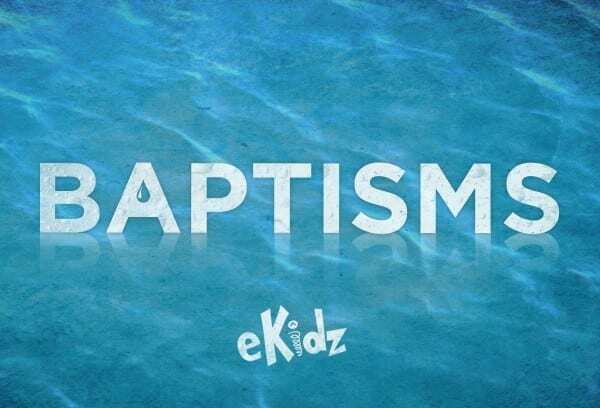 Click here to find out more about the upcoming eKidz baptisms. We are excited to announce that this fall we will be having eKidz baptisms at all of our Elevation locations. To see a recap of last summer’s baptisms, click here. 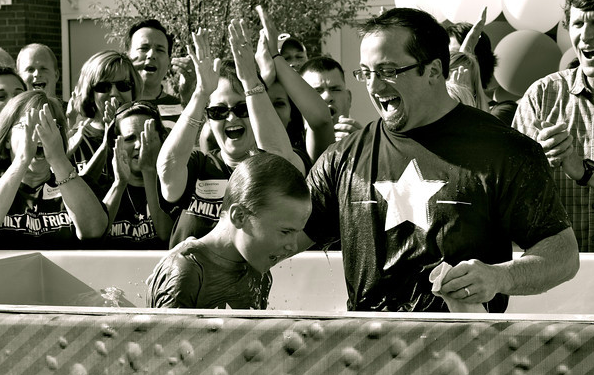 2) Register your child for a baptism interview by clicking here. The baptism interview is an opportunity for the staff and volunteer leaders of Elevation to talk to your child about baptism to help you determine if your child is ready to be baptized. At Elevation Church, we celebrate baptisms! During the month of July, eKidz at each Elevation location will be holding an eKidz Baptism Celebration! If your child has accepted Christ and is interested in baptism, we would love to baptize him or her and share this special decision with your family as your child goes public with their faith! To ensure that baptism is a meaningful declaration of faith by your child, all children 5th grade and younger need to go through a baptism interview. This interview will help ensure that your child is ready for baptism. For information about baptism, check out these sermons from Pastor Steven from the Follow series: Part 1: I Have Decided and Part 2: Full Circle.